Core loss testing has become one of the most important tests for quality assurance in the motor industry. The function of a core loss test is to determine whether a motor has damaged core iron. Damage could include shorts between laminations and electrical arching. Although it is possible for a motor to still run with the damaged core but the efficiency of that motor will be greatly reduced. The Motor will consume more power to operate at normal levels and it will cause the Motor to generate more heat. Heat will reduce the reliability of the motor and its overall life. 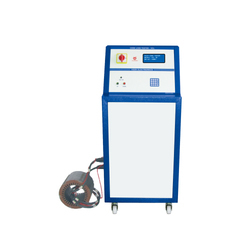 VEER make Core Loss Tester is portable & easy to use the instrument which is very useful to measure AC magnetic properties of Electrical steel core of different grade and size. We provide Free Computer software along with instrument to create test report on the computer. Warranty 1 Year against manufacturing defects & Extended optional.